Did you know self care week runs from November 12- November 18? It’s the perfect time for you to do something kind for yourself. 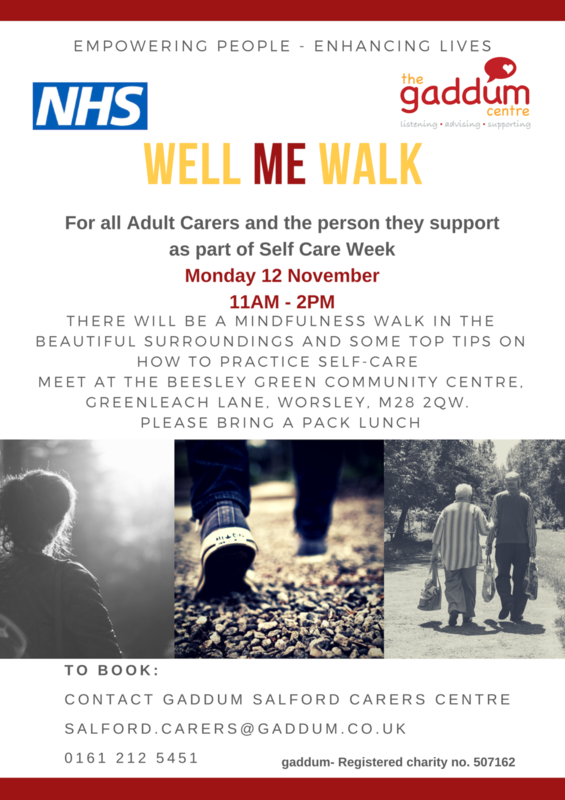 If you’re an adult carer, we invite you and the person you care for to a walk in Worsley Woods on Monday 12 November where you can practice mindfulness and get some top tips for self care from members of the team. If you’re interested, meet us at Beesley Green Community Centre for 11am and bring a pack lunch if you think you might get peckish. The walk finishes at 2pm.